Do you feel that strange chill in the air, mingling with a tingling anxiousness? That ain’t seafood with too much sugar for good measure — that’s Splatoween descending on Inkopolis Square! Which, I guess you could describe as seafood with too much sugar, but that’s besides the point. Another massive Splatfest is coming to Splatoon 2, with the kiosk wanting to know if you’re on Team Trick or Team Treat for the event. 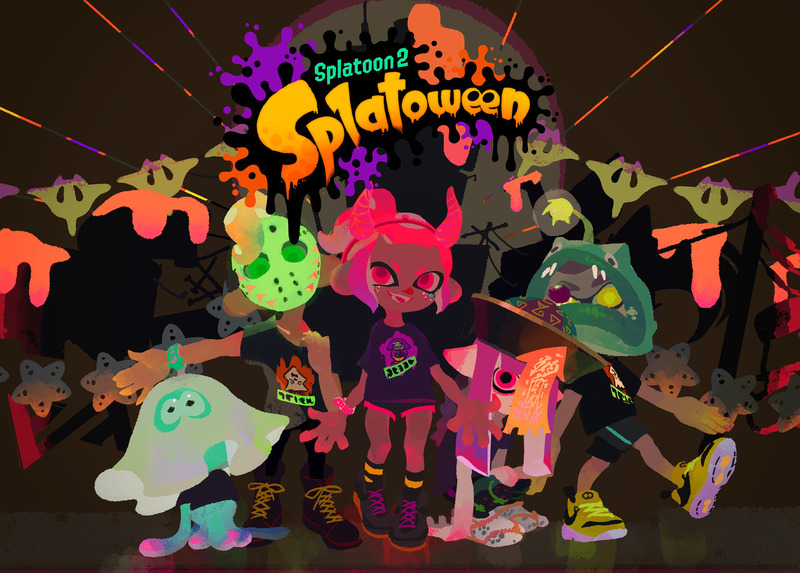 Rather than the usual kind of artwork depicting the two sides, we’ve instead gotten a Splatoween spread showing off squid kids in their costumed finest. The style really suits the holiday well, with the masks they’re sporting now available in-game. Pick yours up, pick a side, and get ready to pick candy corn out of your teeth once this monster mash begins.